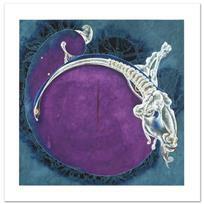 Lu Hong, "Capricorn (12/22 - 1/20)" Framed Limited Edition Giclee, Numbered and Hand Signed with COA. 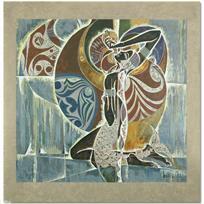 Lu Hong, "Aquarius (1/21 - 2/19)" Limited Edition Giclee, Numbered and Hand Signed with COA. Lu Hong, "Aries (3/21 - 4/20)" Limited Edition Giclee, Numbered and Hand Signed with COA. 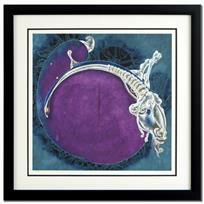 Lu Hong, "Scorpio (10/24 - 11/22)" Framed Limited Edition Giclee, Numbered and Hand Signed with COA. 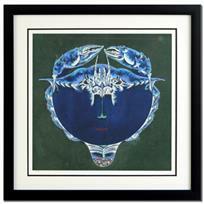 Lu Hong, "Taurus (4/21 - 5/21)" Limited Edition Giclee, Numbered and Hand Signed with COA. 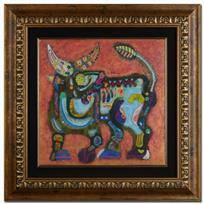 "Earth Bull" Original Mixed Media Painting by Renowned Artist Lu Hong, Hand Signed by the Artist with Certificate of Authenticity. Custom Framed and Ready to Hang. 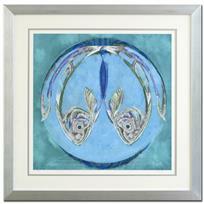 Lu Hong, "Pisces (2/20 - 3/20)" Framed Limited Edition Giclee, Numbered and Hand Signed with COA. 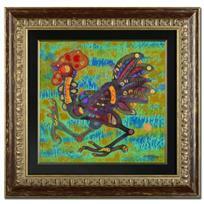 "Earth Rooster" Original Mixed Media Painting by Renowned Artist Lu Hong, Hand Signed by the Artist with Certificate of Authenticity. Custom Framed and Ready to Hang. 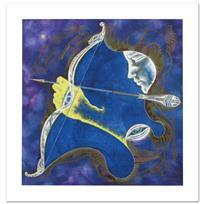 Lu Hong, "Sagittarius (11/23 - 12/20)" Limited Edition Giclee, Numbered and Hand Signed with COA. 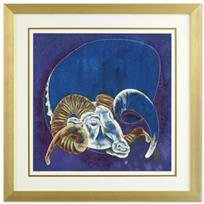 Lu Hong, "Aries (3/21 - 4/20)" Framed Limited Edition Giclee, Numbered and Hand Signed with COA. 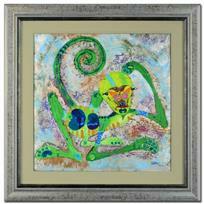 "Wood Monkey" Original Mixed Media Painting by Renowned Artist Lu Hong, Hand Signed by the Artist with Certificate of Authenticity. Custom Framed and Ready to Hang. 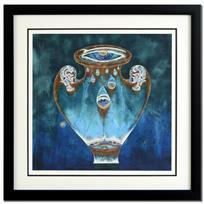 Lu Hong, "Aquarius (1/21 - 2/19)" Framed Limited Edition Giclee, Numbered and Hand Signed with COA. 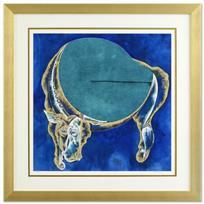 Lu Hong, "Taurus (4/21 - 5/21)" Framed Limited Edition Giclee, Numbered and Hand Signed with COA. 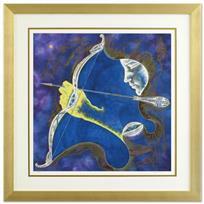 Lu Hong, "Sagittarius (11/23 - 12/20)" Framed Limited Edition Giclee, Numbered and Hand Signed with COA. 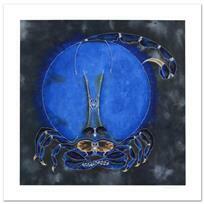 Lu Hong, "Scorpio (10/24 - 11/22)" Limited Edition Giclee, Numbered and Hand Signed with COA. 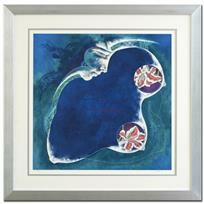 "Expectations of a Mermaid" Limited Edition Serigraph on Rice Paper (33" x 35") by Renowned Artist Lu Hong, Numbered and Hand Signed with Certificate of Authenticity. "Eden in Summer II" Original Multi-Media Painting on Rice Paper (50.5" x 50.5") by Lu Hong, Hand Signed by the Artist, with Certificate of Authenticity. Custom Framed and Ready to Hang. 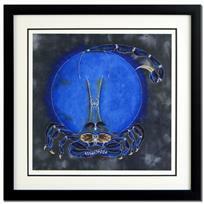 Lu Hong, "Cancer (6/22 - 7/22)" Framed Limited Edition Giclee, Numbered and Hand Signed with COA. 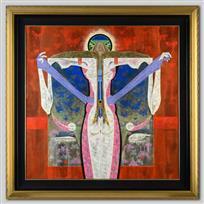 "Nirvana" Original Multi-Media Painting on Rice Paper (49.5" x 49.5") by Lu Hong. Used as Master for Limited Edition. Hand Signed with Certificate of Authenticity. Custom Framed and Ready to Hang. 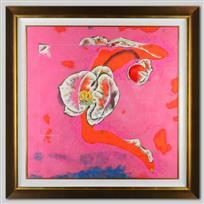 Lu Hong, "Virgo (8/23 - 9/23)" Framed Limited Edition Giclee, Numbered and Hand Signed with COA.